Didi is the performance leader in her organisation, coordinating the development of performance measures for their corporate strategy. Recently they got a new CEO, and Didi was concerned she might not support the chosen approach to performance measurement. Could Didi have any hope in influencing the new CEO’s decision about whether or not to support it? What are the secrets to selling KPIs to executives? If you’re ever in the same situation as Didi, and need to sell the idea of performance measurement, or your chosen approach to it, to an executive, try out the approach that Didi took. Because it worked. Your purpose in selling performance measurement to your executive is not to teach them the ‘how’. Your purpose is to show them the ‘why’. When they understand why performance measurement is valuable, they can support it. 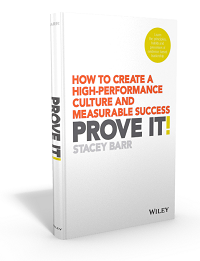 Knowing how to measure performance is not interesting or engaging or useful, until you have a compelling ‘why’. Didi knew she wanted her executive to simply give his support to completing a couple of pilot tests of PuMP. 1. The reason why we measure performance. Didi said it’s about getting a high ROI on our investments in performance improvements and removing waste from the organisation (which she new would resonate with the new CEO). 2. The impact of good performance measurement. For example, it’s about reaching more targets, sooner and with less effort, and becoming a high-performance organisation, that convincingly fulfils its mission and achieves its vision. 3. The specific struggles you want to help them overcome. Didi shared that most common struggles are: people not buying in to performance improvement, goals seeming impossible to measure, never finding meaningful measures, not achieving performance targets, feeling like performance of the organisation isn’t in our control. 4. The keys to ending those struggles. This is about changing the bad KPI habits, like judging people with measures, writing goals with weasel words, and brainstorming to come up with measures. 5. The approach you propose. Didi proposed PuMP, since that’s the methodology she’s using (of course). And so she showed her CEO the PuMP Blueprint Flowchart and quickly described how each step replaces a bad habit of performance measurement that has become common practice. These five essential points should take you less than five minutes to articulate. Err on the side of saying too little. Didi told me she has a tendency to say too much (and don’t we all?). But busy executives are too overwhelmed to take it all in. And by focusing on less, Didi felt better prepared and able to talk naturally rather than deliver a canned presentation. Don’t just blabber the whole thing out in one go. Share the first two points (above) and pause. Make space for ideas to sink in. Then share the struggles, and ask your executive if she has seen those struggles too. Share the bad KPI habits that need to change, and invite your executive to react. Share your proposed approach, and ask your executive what they’d like to ask or do or talk about next. Didi managed to get all her points across, in a natural conversational flow. You might like to have a printed copy of your approach (like the PuMP Blueprint Flowchart) to leave with them to review. 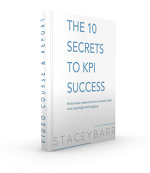 Or you might offer them a whitepaper about the bad KPI habits, to read more. Didi gave her executive a copy of Practical Performance Measurement. Don’t ever try to meet with a busy executive unless you have a specific request or question for them. This is called a ‘call to action’. Didi asked her new CEO to support two pilot implementations of PuMP, which were currently underway and making great progress. Her CEO agreed, and requested to be involved in Step 8 of PuMP, Reaching Performance Targets, the step he felt he could contribute most to. Do you have an executive you’d like to spend 10 minutes with, to invite them to support your approach to performance measurement? Use this framework of five points to outline that 10 minute conversation. Are you game to give it a go?